What an incredible wrap up to #LTW, exhausting but inspiring after the largest #women and #diversity event during London Tech Week. It’s been a pleasure to support the Wonder Women Tech Foundation and Lisa Mae Brunson, with her work and her #vision on the second international #WWT2018 conference in #london. We’ve had an eclectic mix of #innovators #thoughtleaders #disruptors #entrepreneurs #visionaries #mentors #changemakers looking to shift the dial & to celebrate the pressing need for diversity and of #diversityofthought. There are too, too many contributors to mention here but we wanted to join #wonderwomentech #womenintech_CIT to say a BIG thank you to everyone for making the event so impactful and so magical! Heartfelt thanks to all the wonderful volunteers & helpers and huge gratitude to Plexal for hosting and providing such a beautiful platform for us! Super thanks to our fabulous MC’s for the day, Eline Van Der Velden & Priscilla Baffour – both simply amazing! 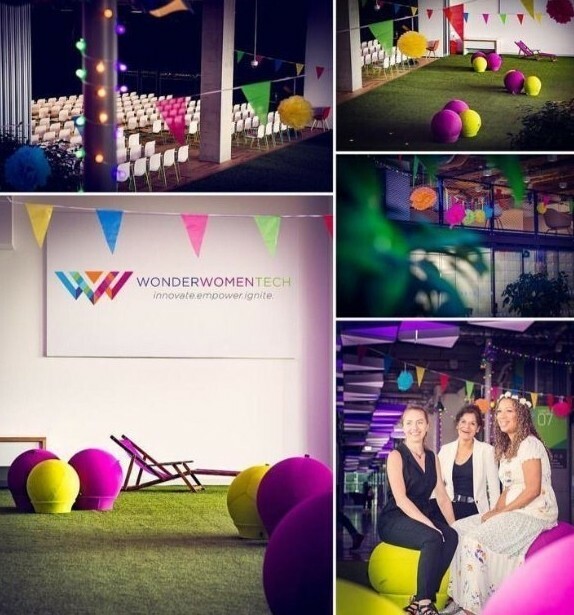 A shout out to our sponsors & partners : BlackRock, EY, Monster, Cisco, Meraki, Facebook, Credit Suisse, DLA Piper, Intel Corporation, Jobbio, Ministry of Justice UK, Pivotal Software, Inc. Smart Design, #adidas Lisa Mae Brunson Brianna Machado Baiba Ziga Elizabeth Keates Silja Litvin and the Wonder team!